Southwest is not just a company of planes, we are a company of people. We are NUTS about our employees! At Southwest, we have always put people first, and we know that we aren’t simply flying passengers from point A to B. We connect people to what’s important in their lives. Our dedicated employees do more than deliver friendly, high-quality customer service that turns a passenger into a loyal customer; they create innovative programs to increase productivity, generate ideas to trim costs so we can keep fares low, give back to our communities and the planet, and take time to celebrate. Come hear how Southwest has created a culture that engages employees in a way that has resulted over 40 years of profitability, less than 5% employee turnover, and being voted one of Fortune’s Most Admired Companies for 20 years in a row. 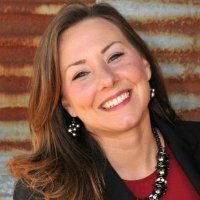 Angie Sanders serves as the Senior Manager of Leadership and Employee Training at Southwest Airlines University. She and her team focus on delivering personal and professional development classes for the 46,000 employees in the Southwest family. Her team is organized around leadership and employee training, technology training, first aid/CPR training, and corporate programs. Angie has been in talent development for more than 15 years, joining Southwest Airlines in 2011. During her journey to Southwest, she spent most of her years in training & development, leading training teams in various capacities at several financial institutions. She earned her CPLP certification in 2009. In her spare time Angie enjoys cross-fit, organizing, cooking, and spending time with her husband and son. In June, Randy Krum will speak on Innovative Ways Companies Are Using Infographics.